The whole of the Hayway complex. Infant school, girls' and boys' departments. 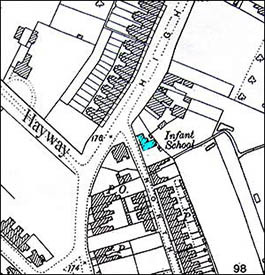 A new school was established in 1893 in North Street to take 77 pupils, with Ellan Jones as headmistress. 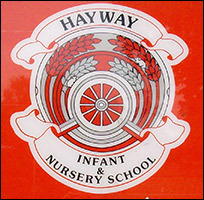 By 1900 there was need for more places and the Hayway Infant School was built by W. Packwood. The school was opened in 1903 and a boys' school and a girls' school were then erected next to this building. In 1925 the buildings were used as the new Intermediate School taking pupils from 11 years old to 14. In 1949 the boys moved to a new school in Tennyson Road, and the girls remained here, the school being renamed North End. March 20 - To enable the teachers to assist "The Food Control" committee in the preparation of cards under the Rationing Scheme the school will be closed on the 21st and 22nd inst. April 25 - Mr Sanders, a school manager visitied the school this morning and checked the registers. May 1st - transferred to mixed department 17 boys and 13 girls leaving 98 children on roll. 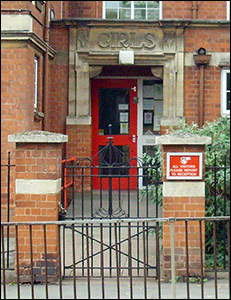 The girls' entrance is still in use. 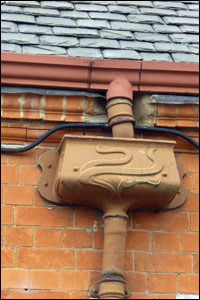 A rainwater pipe on the infant's. 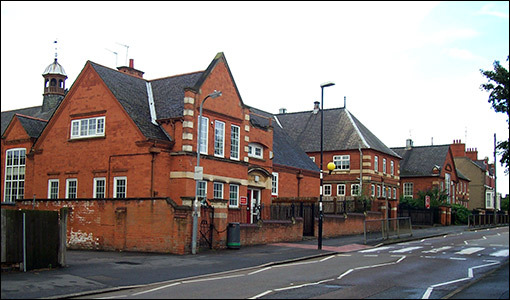 The Buildings are now used for nursery and infant eductation, but have retained the original features. 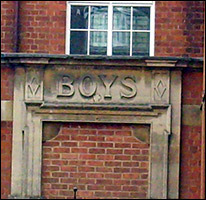 The carved stone lintels over the three doors - Entrance - Girls - Boys - all survive, but the boys department doorway is now bricked-up. Note the fancy water receptacle taking the rainwater from the guttering into the down pipe.